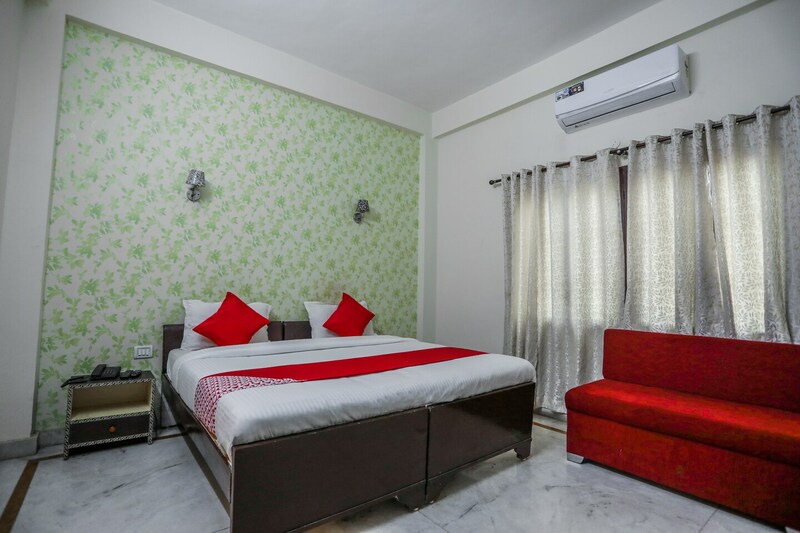 Hotel Eden gives a rustic feeling from the outside with the brick designs and the rooms have ample space and are provided with modest furniture. A side of the wall has beautiful wallpaper which make the room look even more appealing. The hotel keeps in mind the comfort of the guests and also the security, for which CCTVs are installed. It is close to the airport and hence more convenient to reach for the guests. Main markets and some of the tourist attractions are also close to the place making it a preferable choice to stay.